Late Monday night, the Senate Budget and Appropriations Committee voted to approve S2020, a bill that authorizes increased borrowing for transportation. The meeting had been scheduled to start at 9:30 a.m., but consideration of the transportation bill did not occur until nearly 12 hours later, making it difficult for advocates to deliver their testimony. 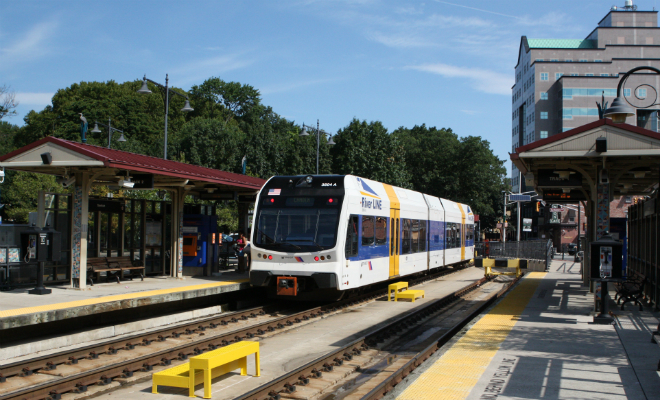 A safe and reliable transportation system is critical to New Jersey’s future prosperity, and the system should be funded from a stable and sustainable funding source. The Christie administration and the Legislature incorporated this principle into last year’s five-year plan for the Transportation Trust Fund, proposing increasing levels of “pay-as-you-go” transportation funding starting in FY 2013. Rather than increasing our reliance on debt, New Jersey must identify new revenue sources, such as an updated gas tax, that will allow us to begin paying for today’s transportation improvements with today’s dollars. Now, however, the administration proposes to divert $260 million from pay-as-you-go funding to support more borrowing. S2020 provides the statutory authority for the increased borrowing. Rather than increasing our reliance on debt, New Jersey must identify new revenue sources, such as an updated gas tax, that will allow us to begin paying for today’s transportation improvements with today’s dollars. New revenue sources will allow the safe, convenient transportation system necessary for a healthy economy and sustained quality of life. Move New Jersey Forward, a broad-based coalition of transportation, business, land-use and environmental advocates, labor unions and social justice organizations, came together last year to promote such sustainable funding solutions. We would welcome the opportunity to work with the administration and the Legislature on this issue. Our written testimony provides more detail. A companion bill, A3000, was introduced in the Assembly yesterday. You are absolutely correct that the state should not be borrowing more money, but by updating the gas tax I hope you mean lowering it, because as far as taxes go, New Jersey really has too much of that. Sustainable revenue comes from a vibrant economy, not from higher taxation. New Jersey has among the lowest (if not the lowest) gasoline tax in the nation although our state is usually either first or second in per capita income. There’s no free lunch. People need public transit to get to work and drivers don’t like having potholes shorten the life of their cars, aside from an uncomfortable ride. Also, our bridges and tunnels must be made safe by being maintained properly. When the state borrows for transit we all pay the cost including interest rates on the loans, it’s just not as visible as paying at the gas pump, but don’t be fooled. I couldn’t agree more. By borrowing more today (instead of finding new funding sources), we are imposing the cost of debt onto all taxpayers. We are also increasing the size of the loans that our kids will have to pay back. In essence,they will be paying for all of today’s transportation investments. Doesn’t seem fair! An increased gas tax is the best way to go – nobody would even notice a nickel per gallon increase, since the price regularly fluctuates by more than that now. Public transportation fares and tolls have already risen dramatically, gas taxes should be next, since they haven’t been changed since the early 1990s, meaning they’re effectively lower, since you can’t buy as much improvement, due to inflation since then. More important is to shift spending from expanding roads to make more efficient use of roads, through public transportation, biking and walking improvements. Absolutely. We like the idea of extending the sales tax to gasoline. At 7% on a $4 gallon of gas, the state would get 28 cents, which would be about enough to fund our transportation needs. We need some political leadership on this issue!